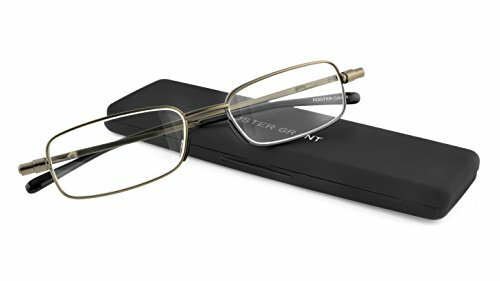 Gideon by Foster Grant presents Gavin fold flat micro vision reading glasses. This pair of reading glasses comes in four different magnification levels and is crafted from a gun metal, rectangular frame with plastic lenses. This sleek and sturdy universal frame folds perfectly flat into a slender carrying case.